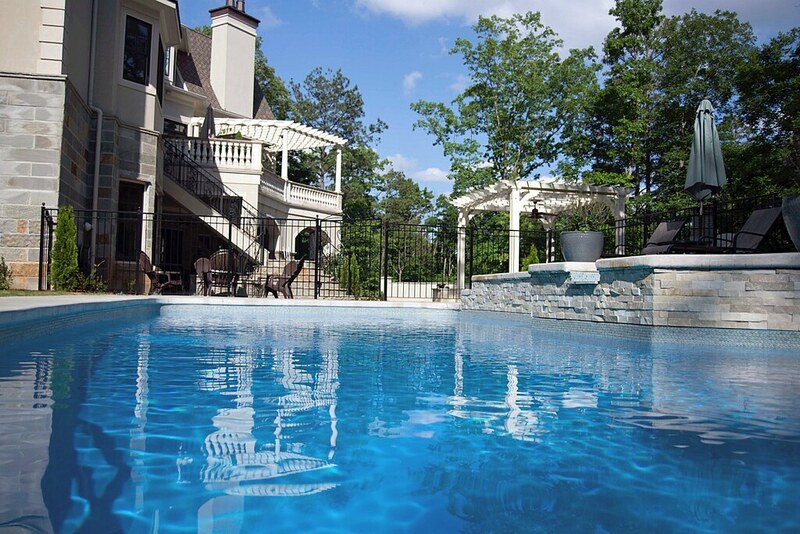 The only limits are your imagination with Tallman Pools. 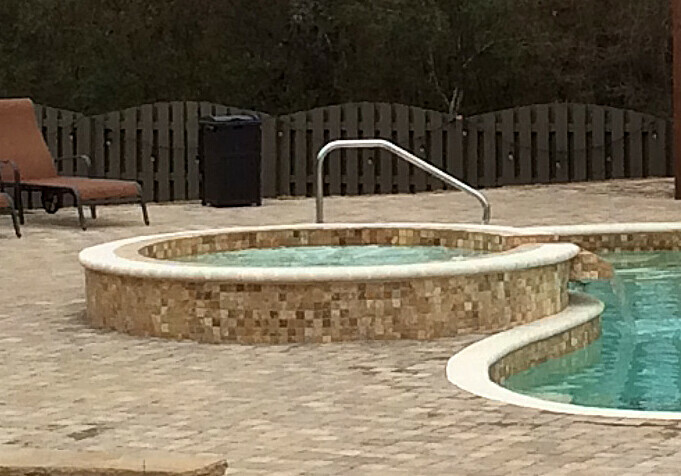 We proudly offer 43 models of fiberglass pools, as well as spas and tanning ledges. Which can be combined into unlimited configurations to suit your swimming style, whether it's liesure based or fitness oriented. Our models range from flat bottoms all the way up to 8' foot deep diving pools. Many of our models also feature, benches, bucket seats and loungers, built in tanning ledges and built in spas! All of our Tallman Fiberglass Pools are available in our exclusive Dainmond Tech color finishes to create the perfect look for your backyard oasis! 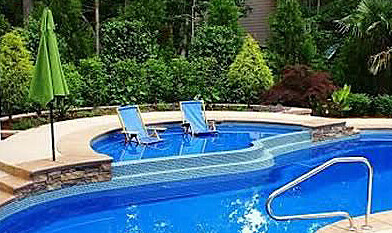 The Hawaiian 16x34 pictured in Atlantic Blue with a Freeform Tanning Ledge. The Jamacain 12x23 pictured in Caribbean Blue featuring an Infinity Edge. The Monaco Bay 16x35 pictured in Atlantic Blue. To compliment our beautiful line of Tallman Fiberglass Pools, we offer an equally magnificent line of spas. Our spas are available in both spill over and non spill over models and can be added to any of our pools. Listen to the sound of the waterfall while recharging with an invigorating swim. Then immerse yourself in the soothing warm water of your spa and watch the stress of the day fade away. The Rectangle 9x7 spill over spa in Atlantic Blue. The 8 Foot Round spill over spa in Sandstone Biege. 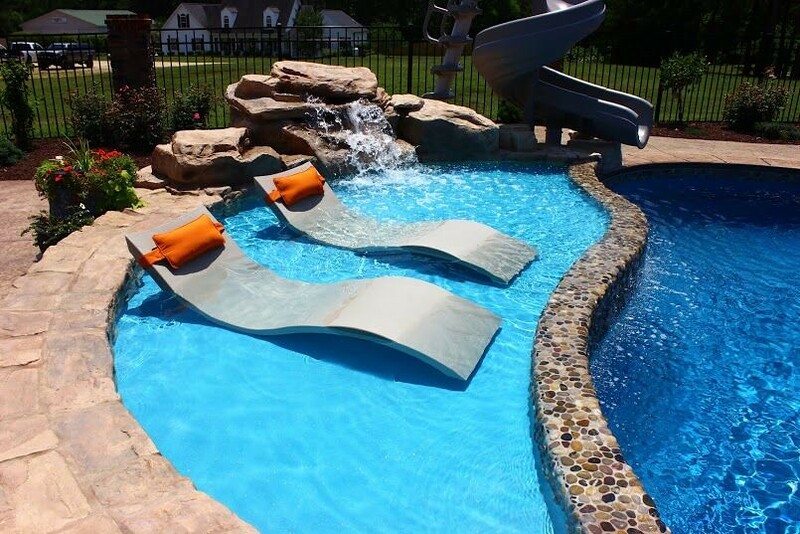 We also offer an exciting line of Tallman Tanning Ledges deisgned to perfectly fit and accentuate specific pool models. These ledges offer an upscale addition to extend the liquid capacity of your backyard while creating a multi-dimensional space for the whole family. 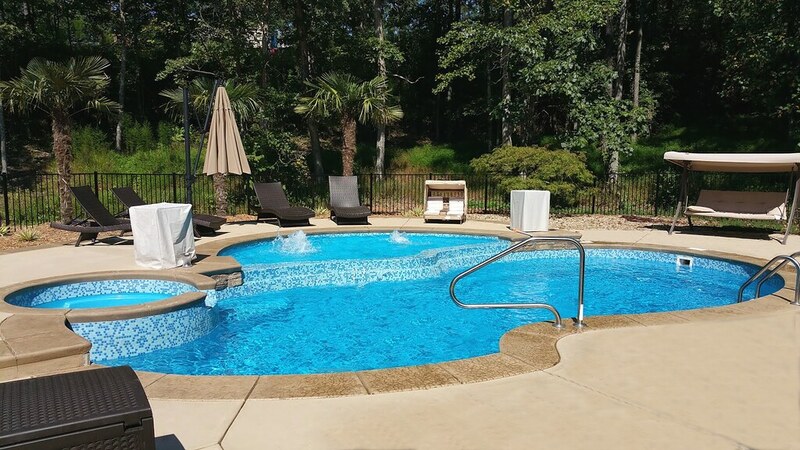 Each Tallman Fiberglass Tanning Ledge is custom designed to mirror the natural design of specific pools, resulting in the perfect backyard oasis! The Freeform Tanning Ledge in pacific Blue. The Moroccan Tanning Ledge in Atlantic Blue. Every Tallman Fiberglass Pool is manufactured in the USA in a controlled factory environment using state-of-the-art technology with finest materials available and a final inspection by the president before your pool leaves the plant. 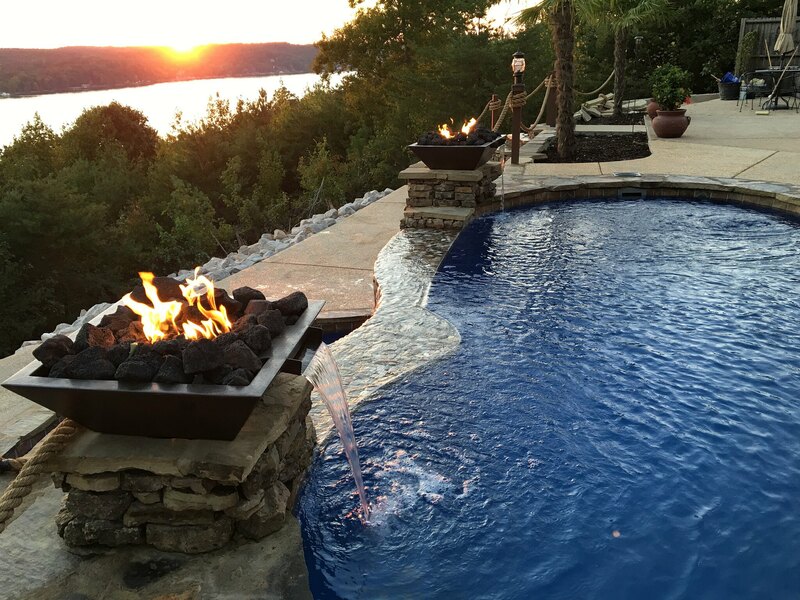 Tallman Pools is a family owned and operated company and our commitment to quality and customer service is unsurpassed!